French lessons at Institut Catholique de Paris were abandoned. Textbooks closed. Maps folded. Notebooks tucked in sacs. It was the beginning of springtime, in Paris. Intoxicating—the rousing rush of students who lingered at outdoor tables at nearby cafés, sunning themselves in Jardin du Luxembourg, strolling arm-in-arm along rue de Vaugirard toward boulevard Saint Michel and the Latin Quarter. It was in the air: a Cupid’s arrow, of sorts. Paris, the great seducer. There’s no resisting its first warm, sunny afternoon. How could I, too, resist cutting class? Impossible! Deborah Johnson, specialist in French travel, culture and cuisine, and founder of French for a While, studied at Le Cordon Bleu Institute in Paris. She later became a translator and interpreter for Le Cordon Bleu’s top chefs and was the translator for my cooking class “Evening with Julia Child” at Le Cordon Blue. Kathy is a Certified France Specialist, retired professor, and co-recipient of the Julia Child Endowment Fund Scholarship. She now designs culinary tours for Tour de Forks. La Cigale Récamier, known for their soufflés, is a restaurant located on a tiny pedestrian street at 4, rue Récamier in the seventh arrondissement. There, the three of us catered to our whim for a soufflé lunch of the airiest, most flavorful in all of Paris. The maitre d’ offered a remarkable location on the covered terrace with views of the garden patio and restaurant’s interior. We languished with our menus as we watched waiter after waiter, uniformed in classic dress of starched white shirt, black trousers and crisp black apron, parading past us with fully puffed savory and sweet soufflés—hot from the ovens—for the chic French business and political crowd in suited attire, shielded from the sun by the table umbrellas. The soufflé waits for no one. There was a silence at the table as we opened our menus. All eyes went straight to the soufflé, Sorbet et Soufflé au Pétale de Rose, listed in the dessert section. Cupid’s arrow! Without hesitation, we each selected Soufflé au Pétale de Rose for dessert. Considering each savory variety scrupulously, we decided on un soufflé aux petits pois façon jardinière (fresh garden peas soufflé), un soufflé fariné de blé noir et champignons (buckwheat flour and mushrooms soufflé), and un soufflé aux asperges et son beurre d’argumes (asparagus soufflé). The sommelier suggested a bottle of La Moussière Sancerre 2008 by Alphonse Mellot and Laurent-Perrier Cuvée Rosé Brut Champagne, an extraordinary match for fruit desserts. Each soufflé was served directly from the oven and presented in its ramekin baking dish on a broad white plate with a portrait of the 19th century French society leader, Juliette Récamier, after whom the street and the restaurant were named. “Taste with your eyes shut,” I told myself, as I closed my lips around a bit of soufflé of buckwheat and mushrooms coated in a rich savory sauce. I spooned the velvety creamed condiment into the opening I had created through its crown; the perfect compliment of texture and taste. Musty and dense—like a spring walk in wild woods—the buckwheat’s tangy, nut-like flavor had the depth to stand up to the hearty filling and usher in an early spring. Soufflé au pétale de rose, delicate in its essence, was the palest of pinks from the ramekin’s porcelain edge to the airy confection’s crested top. More than doubled in size, the elegant golden crown, dusted with the finest powder of Confectioners sugar, did not loose its volume until separated at its upper crust with dessert fork and spoon. Subtle in its scent and taste of rose, its silken texture and finish perfectly captured the wispy, flyaway afternoon. We all agreed that the aroma from the initial parting of the crust and flavor of Deborah’s asparagus soufflé was the best and carried our conversation of food and Paris well into the late afternoon. I was inspired to add new varieties to my standard repertoire of Grand Marnier, chocolate, spinach, and cheese soufflés. Good food, good wine, good friends. Ladies who lunch: a rather glamorous occupation. Auguste Escoffier (1846-1935) in his book titled, The Complete Guide to the Art of Modern Cookery (translated in 1903 by H.L. Cracknell and R.J. Kaufmann of Le Guide Culinaire), provides recipes for these sweet dessert soufflés: fruit puree, almond, hazelnut, camargo, cherry, chocolate, Curacao, Elizabeth (vanilla & Kirsch), strawberry, fruits en croustade, Hilda (lemon, strawberries & raspberries), praline, vanilla, violet, etc. Julia Child (1912-2004), in her book with Louisette Bertholle and Simone Beck titled, Mastering the Art of French Cooking, Volume one, defines the soufflé: “A soufflé, quickly described, is a sauce containing a flavoring or purée into which stiffly beaten egg whites are incorporated. It is turned into a mold and baked in the oven until it puffs up and the top browns.” Their book offers recipes for cheese, spinach, salmon and variations for tuna, fish, lobster, shrimp, crab, chicken, turkey, etc., and under the heading Desserts and Cakes, its final chapter, includes these sweet soufflés: vanilla, orange, Cointreau, Curaçao, Grand Marnier, glacéed fruits and Kirsch, coffee, caramelized almonds or macaroons, and chocolate. To prepare the recipe that follows, begin with only the freshest ingredients. The butter is always unsalted and the eggs large. The Best of France: A Cookbook by Evie Righter, recipes by Georgia Downard. CollinsPublishers, San Francisco. 1. Preheat the oven to 400 degrees F. Butter a 2-quart soufflé dish. Sprinkle the soufflé dish with granulated sugar, shaking out the excess, then fit it with a buttered and sugared paper or foil collar that extends 2 inches above the rim of the dish. 2. In a bowl, whisk together ¼ cup of the granulated sugar, the flour, and 1/3 cup of the milk. Scald the remaining milk in a saucepan and add it to the bowl in a stream, whisking, until the mixture is smooth. Transfer the mixture to a saucepan, bring it to a simmer, whisking, and cook, continuing to whisk, for 3 minutes. Remove the pan from the heat and beat in the butter. Beat in the egg yolks, one yolk at a time, then the vanilla and the melted chocolate. 3. In a bowl with an electric mixer, beat the egg whites until they hold soft peaks. Add the remaining granulated sugar, a little at a time, and beat until the whites hold stiff peaks. Stir one-fourth of the whites into the chocolate mixture, then fold in the remaining whites gently but thoroughly. Spoon the mixture into the prepared soufflé dish. 4. Place the soufflé in the oven and immediately reduce the oven temperature to 375 degrees F. Bake the soufflé for 35 to 40 minutes, or until puffed. Sift the confectioners’ sugar over the top and serve the soufflé at once. Serves 6. 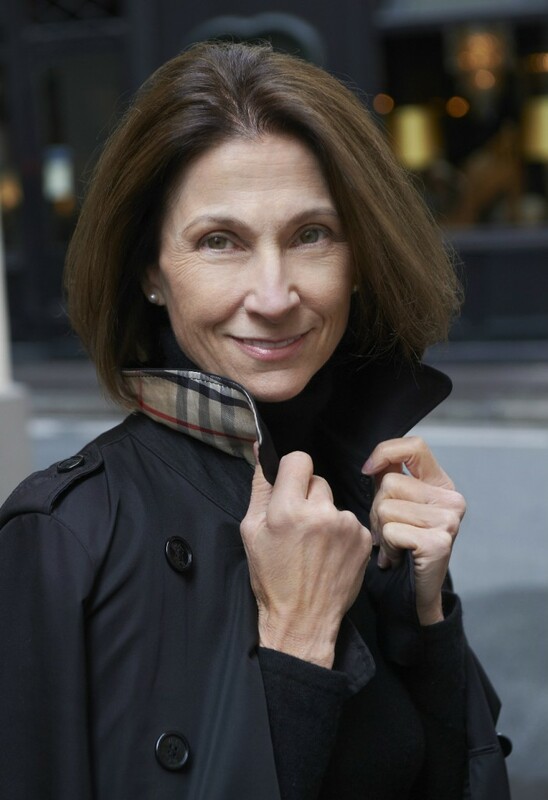 Barbara Redmond, publisher of A Woman’s Paris®, is a long-time Francophile and travels to Paris every chance she gets. Her stories about Paris and France have been published in AWP® and republished, with permission, by other blogs and publications. Barbara has presented programs on French fashion and food, and has been a guest speaker for students planning their study abroad. She serves as an advisory board member at the University of Minnesota College of Design and is an active student mentor. Barbara has been recognized for excellence in art by international and national organizations and publications. Prints of her fine art paintings are in collections in Europe and North America and are available for purchase. Scarves à la Françoise: The lingua Franca for stylish women, by Barbara Redmond who shares her experience trying on scarves and tying them at the home of her French friend in Lyon. Arriving at the famous silk manufacture in Lyon, André Claude Canova, Barbara and her friend gently tapped on the window even though the shop was closed. The shop girl let them and they all enjoyed hours of playfully draping, twisting and knotting scarves and shawls. An experience spurred by the ubiquitous nature of women and scarves: our common language. Text copyright ©2012 Barbara Redmond. All rights reserved. Wonderful that you posted the recipe – merci! Leave a reply on "Le soufflé – l’amour, la romance and ladies who lunch"